Why can’t you lose weight? Getting weight off and keeping it off tends to be a challenge for many people. Understanding your genetics and metabolism can help you choose among several weight loss options. Best diet -The most appropriate diet for weight loss options for your genetic type such as low fat, low carbohydrate, Mediterranean or balanced diet of 40% carbohydrate, 30% protein and 30% fat. This is more specific than other diets and is specifically geared toward your individual genetic code. Behaviors that drive hunger, satiety, cravings and loss of inhibitions. Understanding how you are programmed can allow you to develop strategies to overcome these genetic traits. Adapting new behaviors are among the most critical weight loss options. Examples are having healthy snacks around, grazing, and choosing food with some healthy fat to make you more satisfied, eating slowly so your brain recognizes you are full and having a game plan when you are in a setting with a lot of temptation. Exercise is among one of the most important weight loss options to lose and maintain weight loss. Your genetics can tell you the type of exercise that will have the most profound effect on your metabolism. Some people benefit more from endurance exercise and others from weight training. Your genetic code provides the answers. To juice or not to juice, that is a question I get asked all of the time. While juicing is a popular, fast and tasty way to get your nutrients, it can be detrimental as one of your weight loss options if you don’t metabolize sugar well. Even vegetable juice has a lot of sugar. Eating foods such as whole grains, yogurt, high fiber bars and other foods marketed as being healthy can actually pack on the pounds if you are sensitive to them. Food sensitivities cause inflammation that make it easy to gain and hard to lose weight. Some fats enhance inflammation and others quiet it down. Inflammation causes metabolic havoc, weight gain and difficulty losing weight. Some of your best weight loss options are understanding how you metabolize sugar, starch and processed foods and foods that may be causing inflammation. Measure Metabolic Markers: Get your fasting blood sugar, fasting insulin and hemoglobin A1C (HbA1C) measured, If your fasting blood sugar is above 85, your fasting insulin above 7 and HbA1C above 5.6, you are not processing sugar well. Avoid refined carbohydrates, processed foods, sugar and juicing and grains as part of your weight loss options. Eliminate Food Sensitivities: The most common foods that cause inflammation are alcohol, artificial sweeteners, caffeine, corn, dairy, eggs, peanuts, sugar, soy, wheat and anything with gluten in them. Work with an anti aging and functional medicine physician to do an elimination diet that aids weight loss, such as the Shake, Bake and Salad Slimdown. Fight inflammation with Anti inflammatory Fat: Choose fats that flow. These are fats that can be made into oil such as fish, olives, avocados, nuts and seeds and any of their oils. Eat less fats that are solid such as meat, dairy, saturated fats, trans fats and hydrogenated oils. Stress raises cortisol, which packs on the pounds. Loss of muscle building hormones such as DHEA and testosterone makes it hard to lose weight. High levels of insulin are inflammatory and make you store fat. Estrogen being too high or too low will promote belly fat and low progesterone causes a syndrome called estrogen dominance. 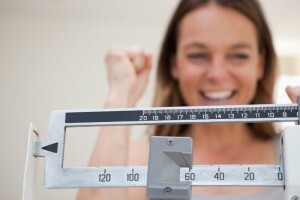 Getting your hormones measured and balanced should be part of your weight loss options. Balance hormones: What you eat, drink, think, how much you sleep and exercise and exposure to toxins all affect your hormones. Get an evaluation from a functional medicine doctor to determine how to balance your hormones naturally. HCG diet can kick start a stuck metabolism. When you want to lose a significant amount of weight fast, HCG is one of the quickest and most effective weight loss options. Weight loss options can be complex with many factors to consider. Simplify the process by adopting a diet and exercise program and lifestyle that suits your genetics, metabolism and hormone status. Having an evaluation by an anti aging and functional medicine physician can make the process quicker, easier and more personalized. What Makes an Executive Physical Different From Other Evaluations?